A reunion is a good idea – but when? The date of your reunion will be your first and most important decision. 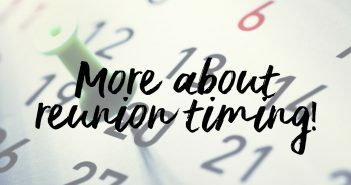 Your reunion date might coincide with an important family event or milestone, or you can choose an arbitrary date. Or, if you offer choices, make a commitment to abide by the consensus of the group. Avoid a blanket request for dates. If you ask 50 people to suggest dates, you'll get 50 dates and still no consensus. If, on the other hand, you suggest a choice of say, Thanksgiving or Fourth of July weekend, a majority can be determined right away. In a large family it will be impossible to accommodate everyone's schedule, but the ranking allows you to see which date works for the most people. Most family reunions are in summer, but you don't have to follow the crowds. You may find it less expensive and less exasperating to book everything from a picnic in the park to resort rooms during less popular times. Take advantage of "off season" packages—usually April-May, October-November, and December-February (except at tropical beach resorts and ski areas). Airline rates also may be lower. 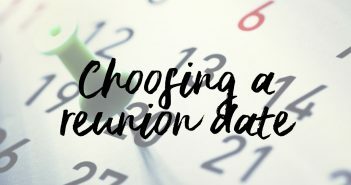 Reunions are tough to plan less than three months before the event because desirable locations fill up. If you need a large venue such as a resort, events center or guest ranch, you'll need to book it nine to 18 months ahead. When you choose a date, stick to it. The key to choosing a reunion date is to stick to your final decision. Changing the date will only create havoc for others. If you plan to meet again, ask family members at the reunion to set the next date. Ask if they want to gather yearly, every other year or maybe every five years. 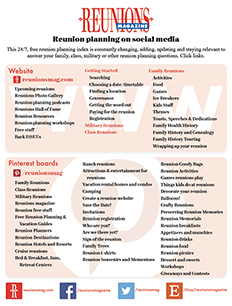 Almost half the families Reunions Magazine surveyed have annual reunions, about a quarter choose biennial reunions, and one in 10 have them every five years. 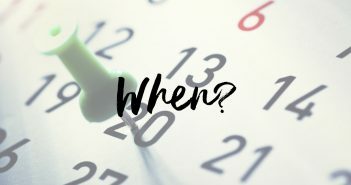 Family milestone or special day: silver or golden wedding anniversary, a grandparent's or elder's birthday, a wedding or graduation, an ancestor's birthday or date of immigration, a retirement party, a birth, or an ethnic or religious holiday. Time of year/season. 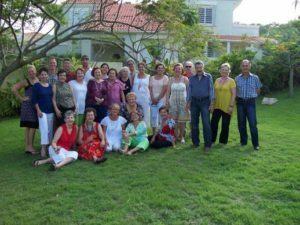 Most family reunions are held between June and September because the weather is better, travel is easier, and school is out. Long holiday weekends are often perfect for reunions. Many families set a date or weekend, the same each reunion, such as the third Sunday in July. Even if the reunion is not held every year everyone knows when it will be. The Beck Family Reunion meets at Debbie Beck’s home on the farm in Robin, Manitoba, Canada, usually over an extended long weekend about every five years. 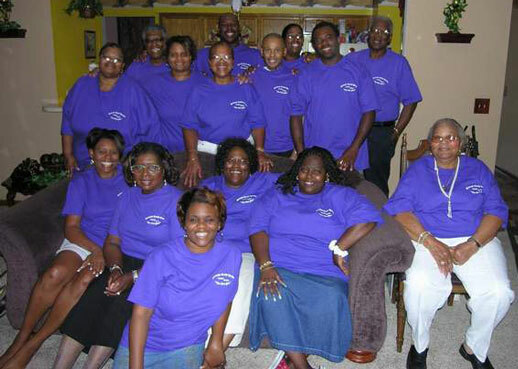 Brenda Higgs, Fayetteville, Arkansas, reports the Rosebeary Family Reunion date is Fathers Day weekend every year, so no one can say they forgot. It’s also at the same place every year, at Lake Tenkiller State Park in Vian, Oklahoma. Peter Eckhoff, Plainview, New York, schedules the Eckhoff Family Reunion at least a year in advance so the maximum number of people can attend. Henry Graham says the Hicks-Odom Family Reunion moves from place to place each year but the date is always the third weekend in July. Pamela Stahly, South Bend, Indiana, says keeping the same date year to year ensures out of state family will come to the Thompson Family Reunion. If you’re a Seidemann, you just know that the third Sunday of July you will be in Newburg, Wisconsin, for your annual reunion.